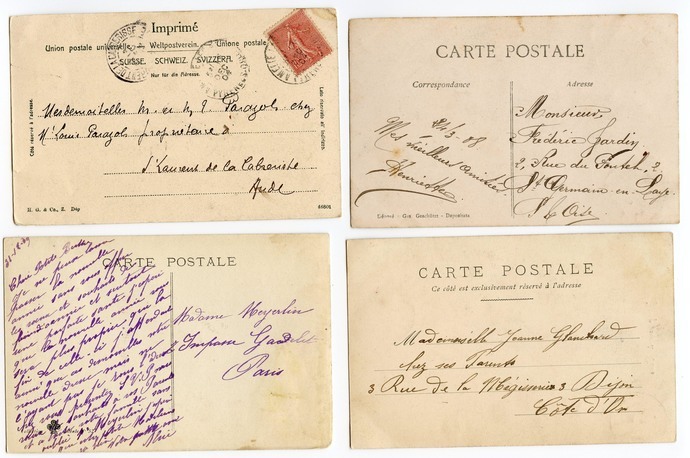 I labeled this set of 5 antique postcards as "country women." 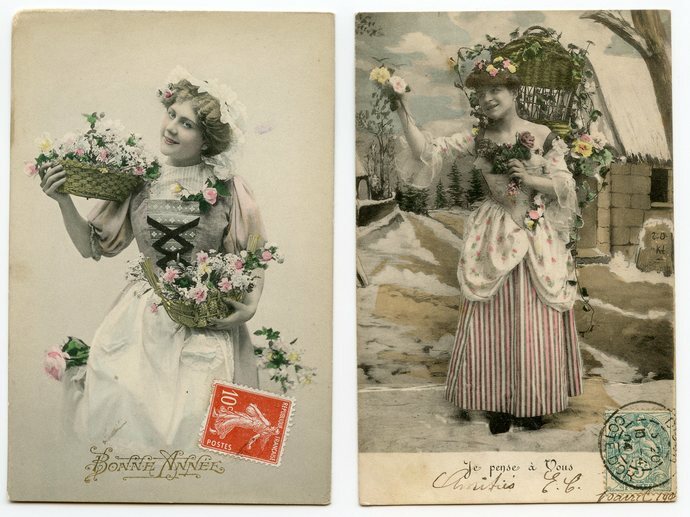 These are scenes featuring women in simple costumes, working girls: the flower seller, the farm girl and such. The one standout is the lady at the wooden fence with the unique hat. 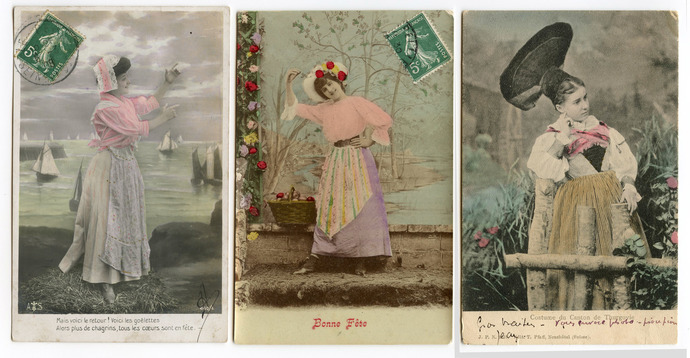 This is actually a Swiss postcard and she is wearing the costume of a native from Thurgovie ( in northeast Switzerland next to Germany's Lake Constance). 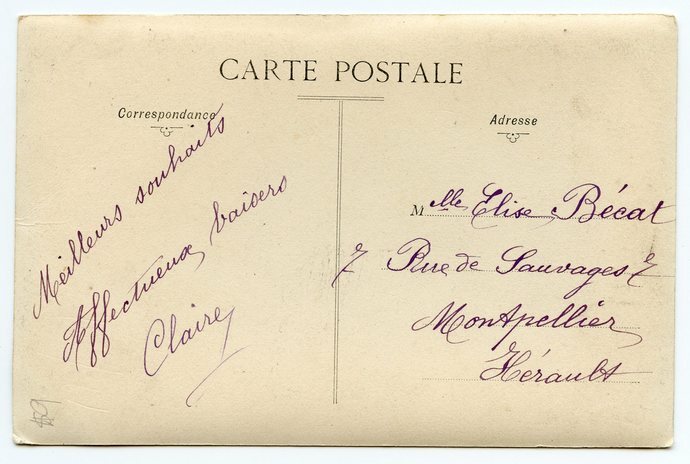 However, the card, franked 1904, bears a French stamp as do all the others. You'll note that pink is the unifying color in this set. 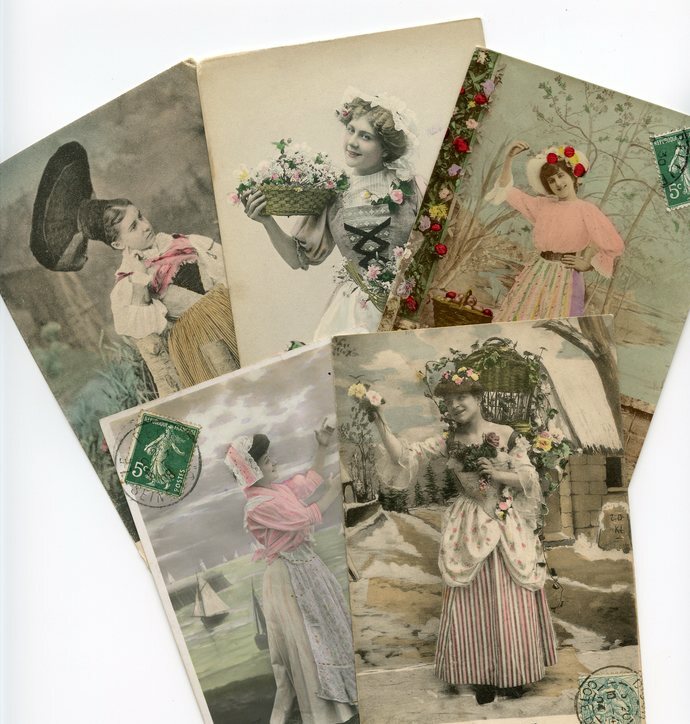 These cards are in good vintage condition, perfect for the scrapbooker or artist to use in crafts or for decor.